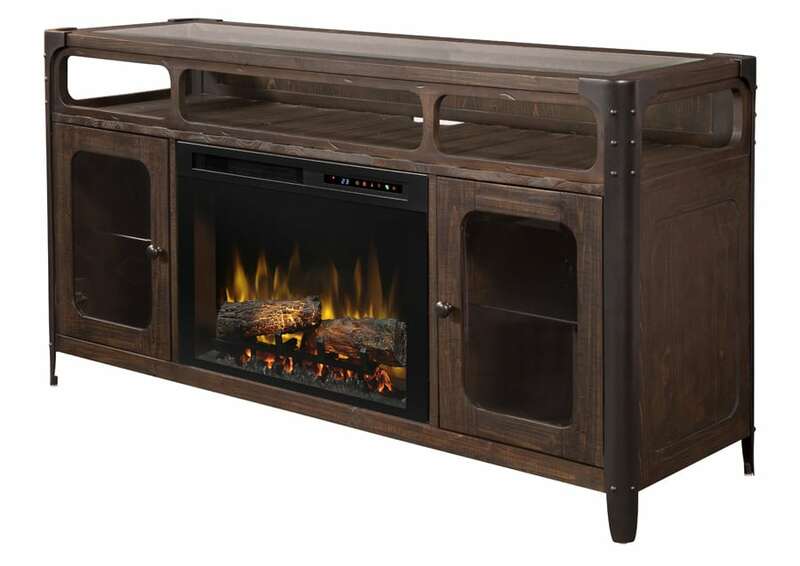 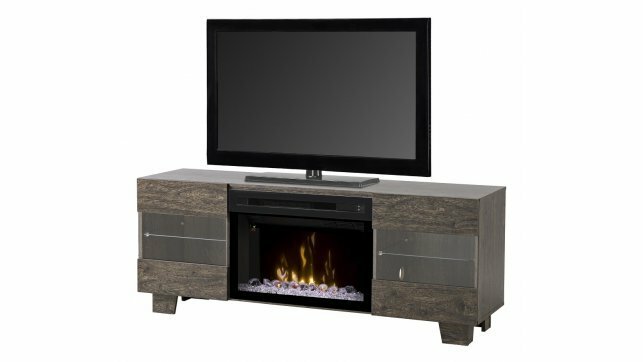 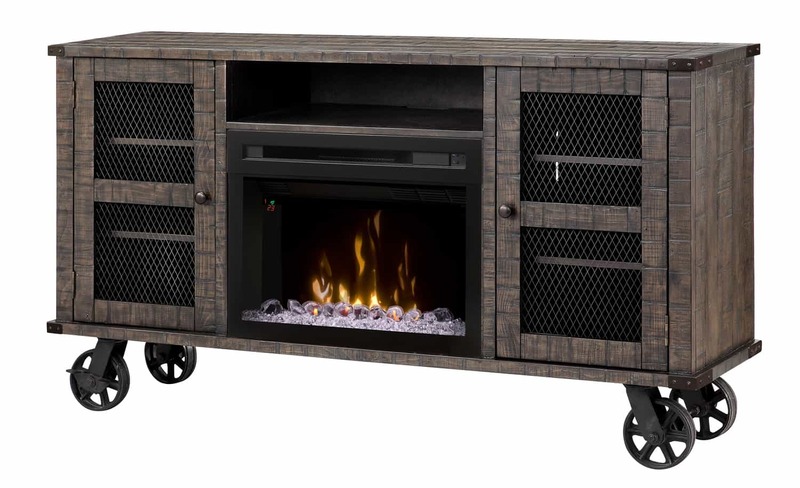 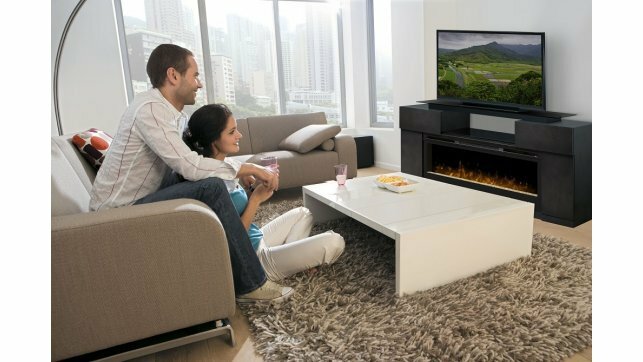 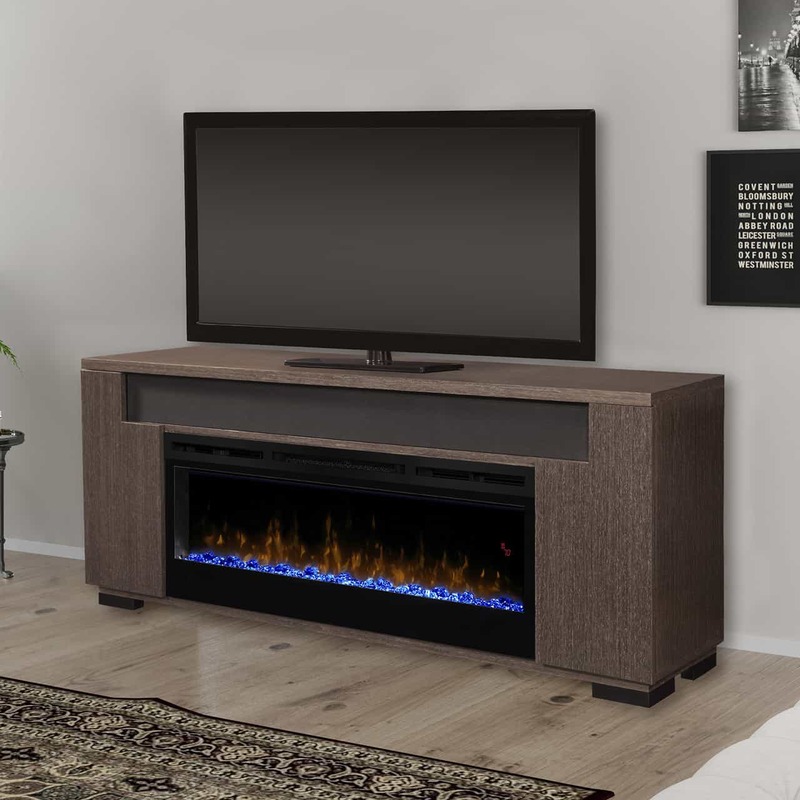 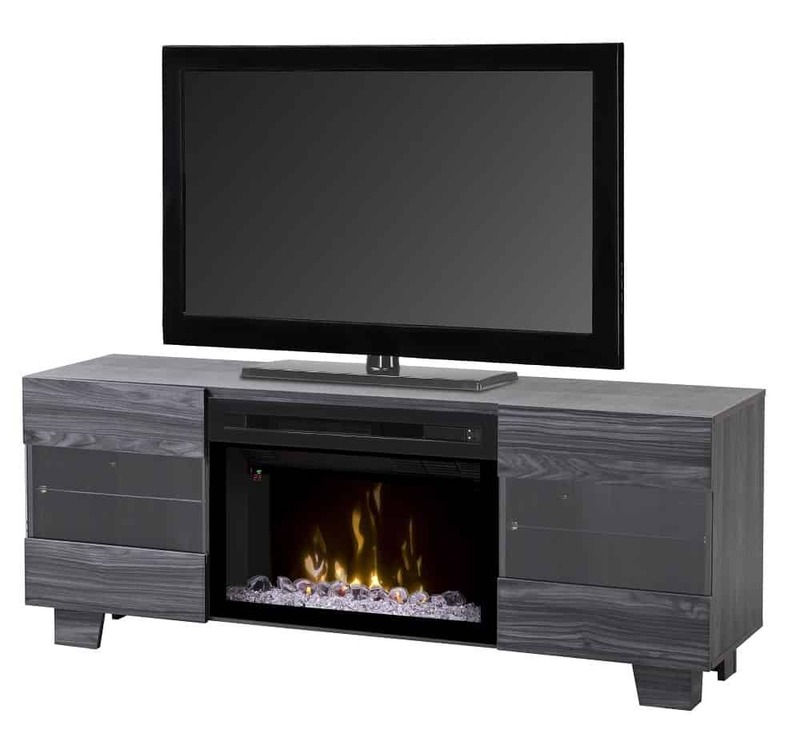 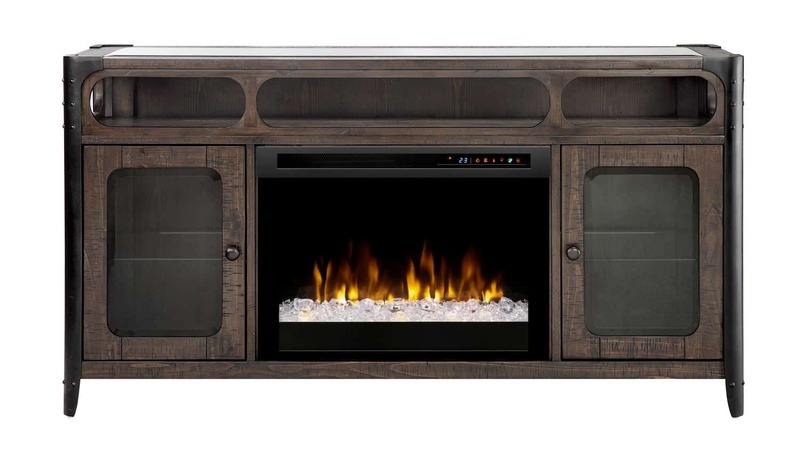 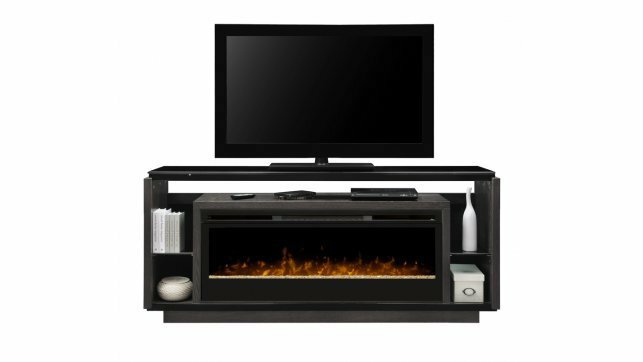 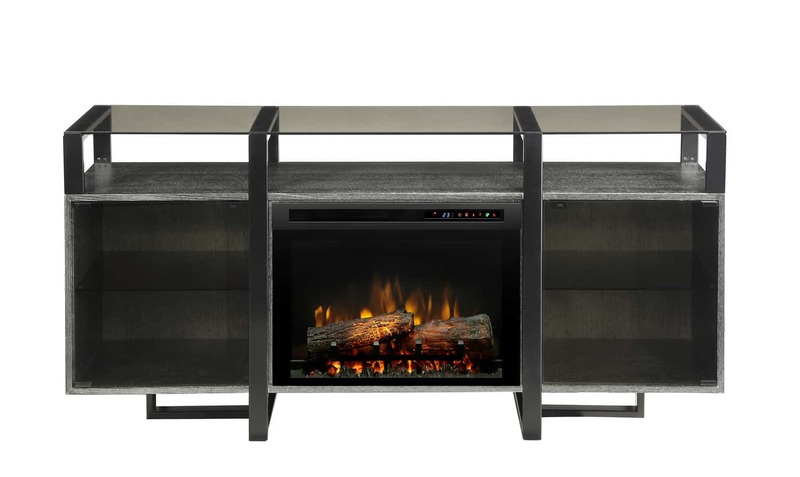 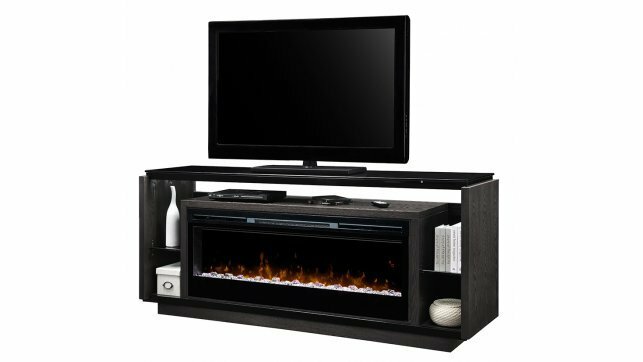 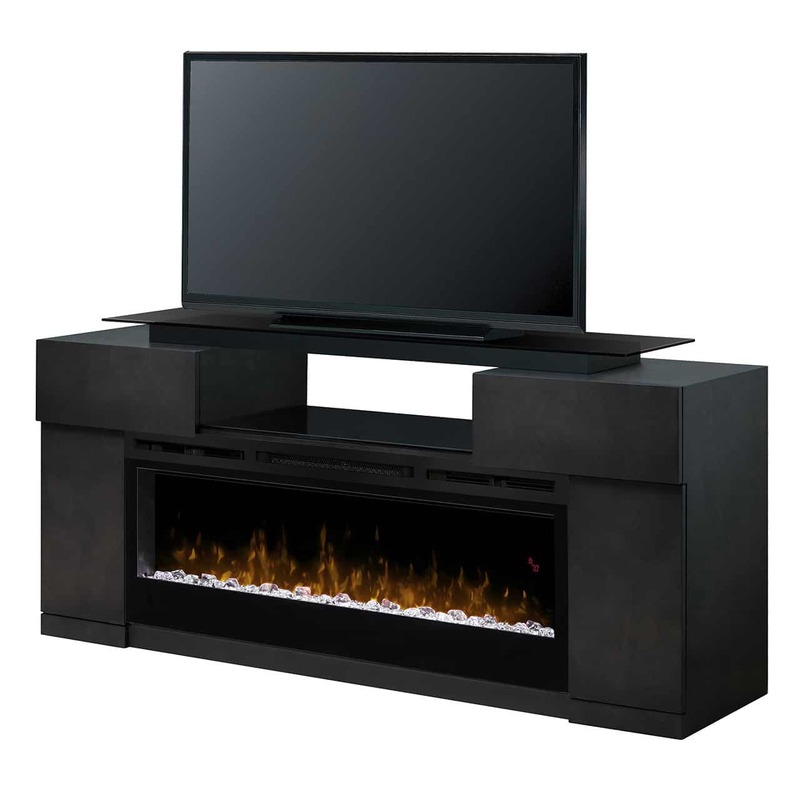 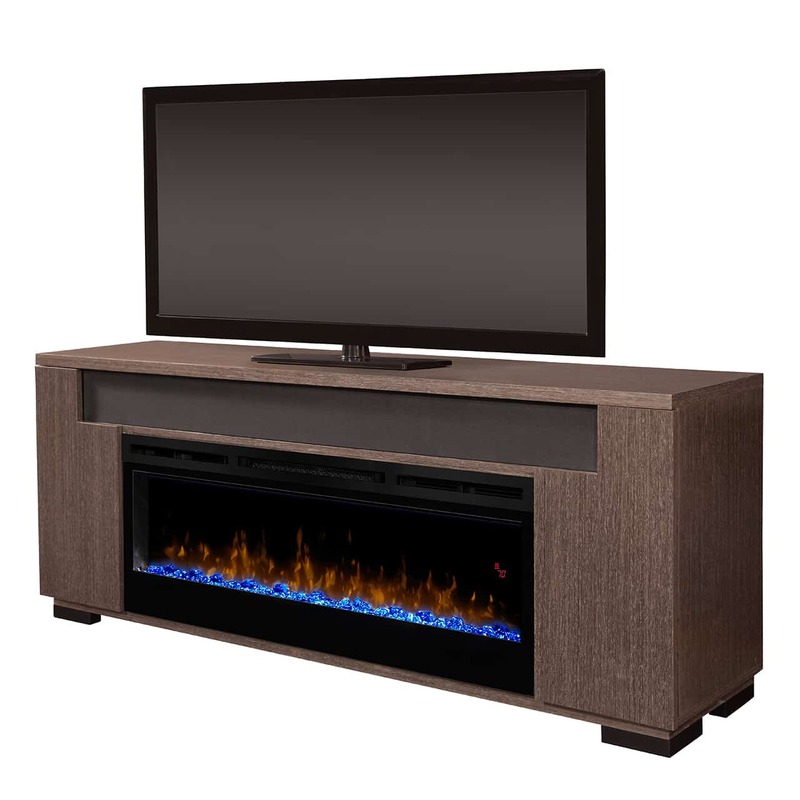 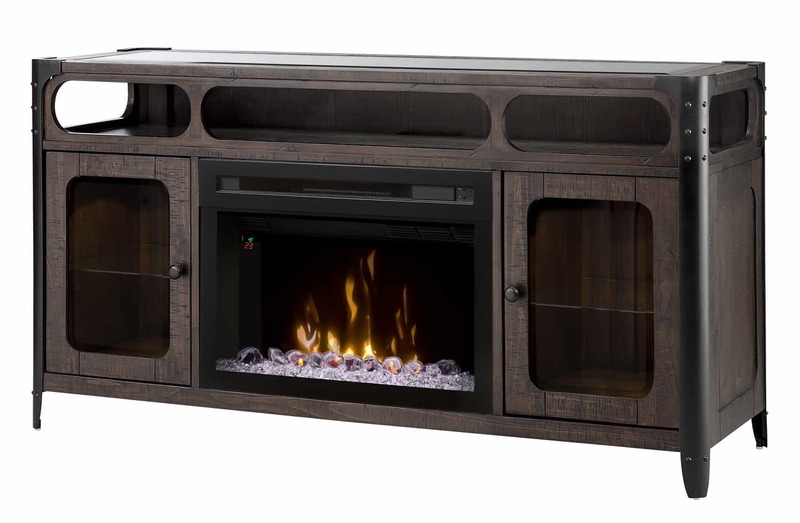 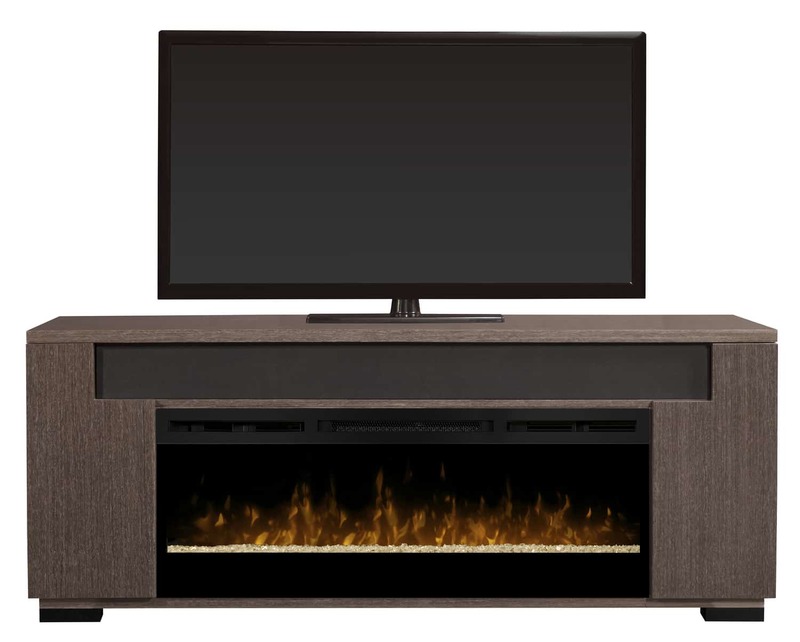 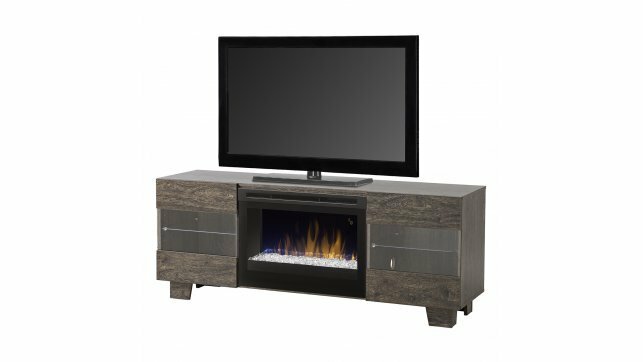 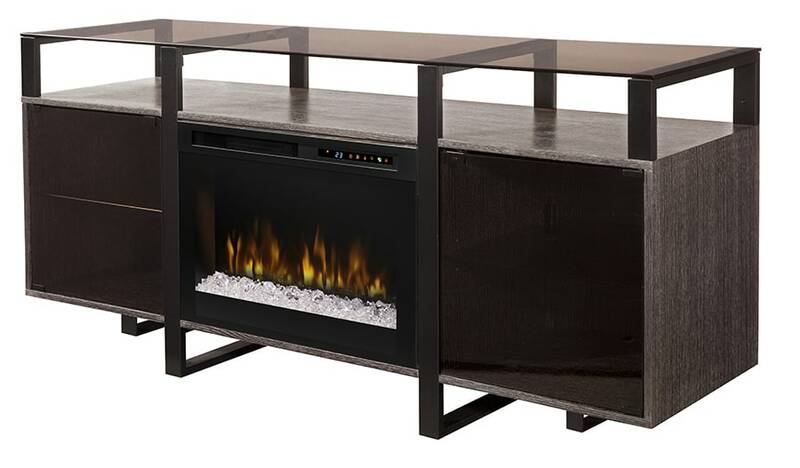 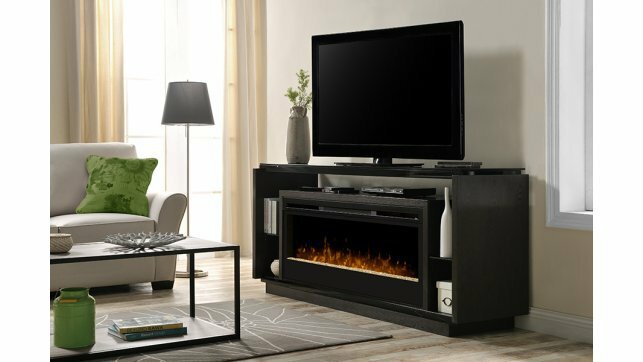 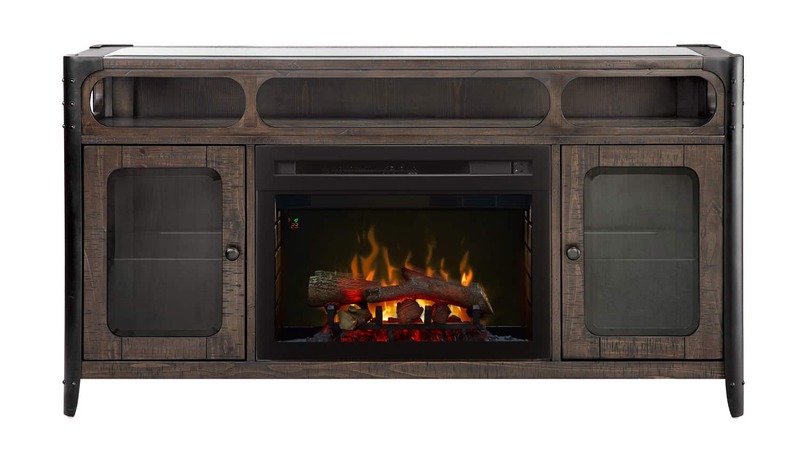 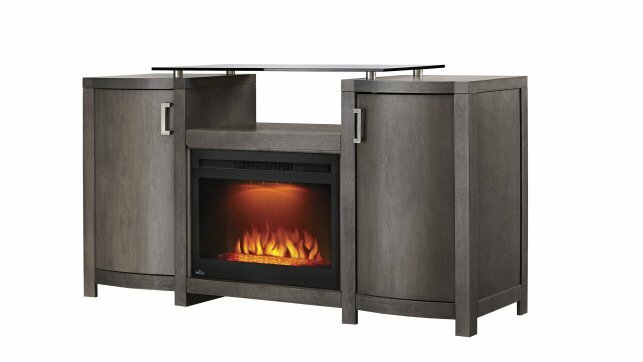 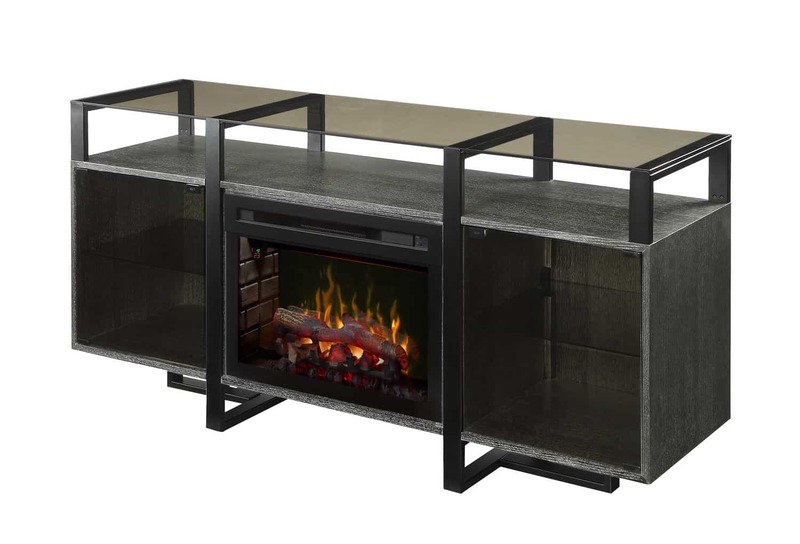 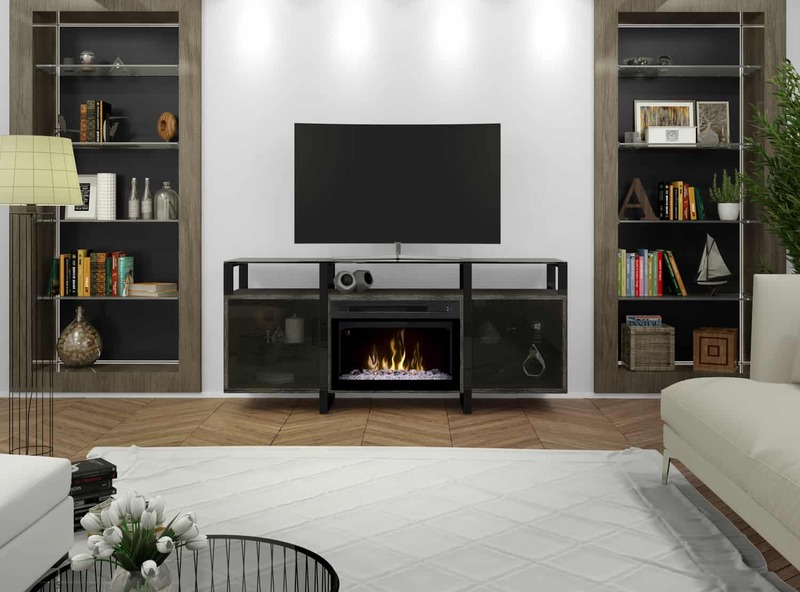 Scandinavian style with a low profile design creates the minimal, yet sleek appearance of the Dimplex Max media cabinet in Carbon finish with a PF2325HL electric fireplace insert. 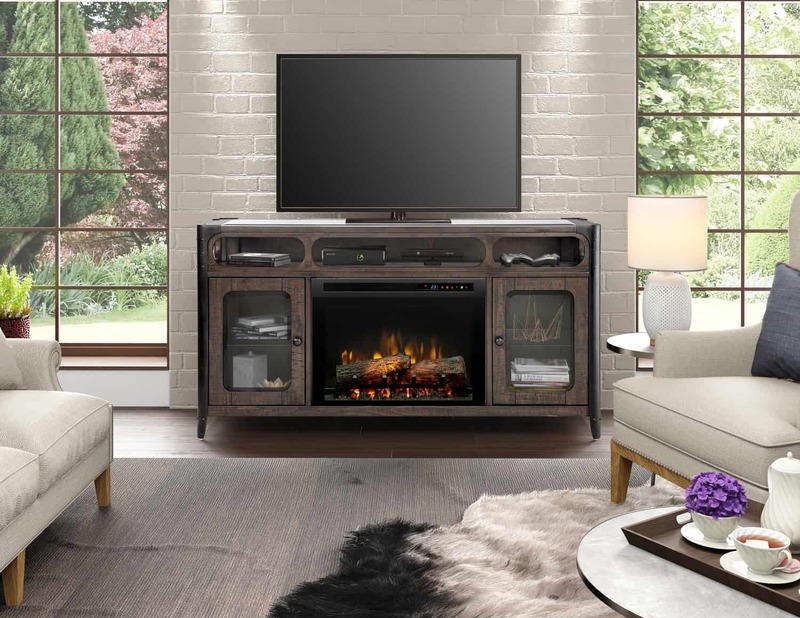 The distinctive cabinet doors on the Dimplex Max media cabinet feature glass inserts that allow a view into the storage area, which is also ideal for electronics. 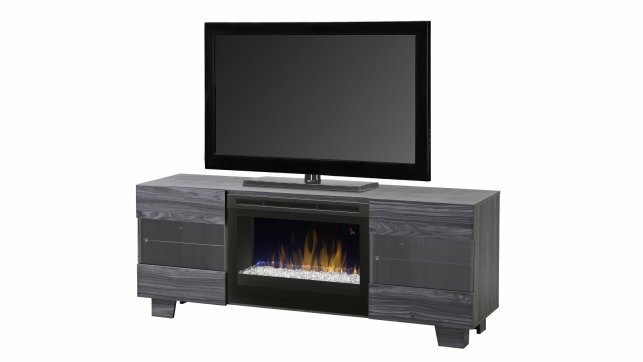 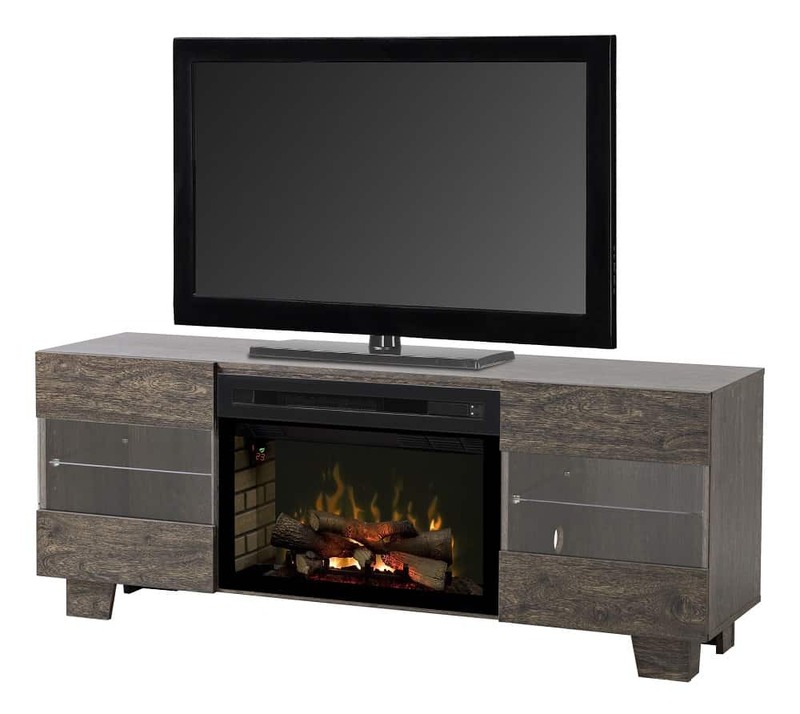 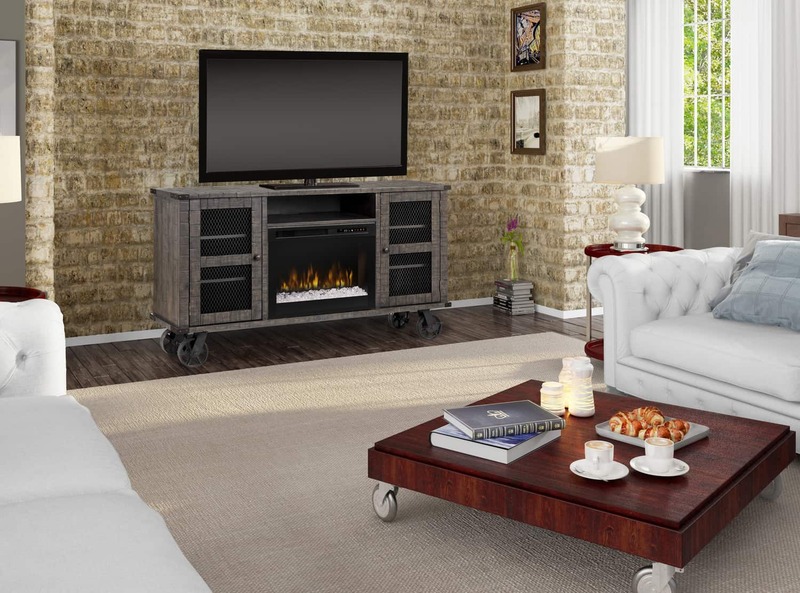 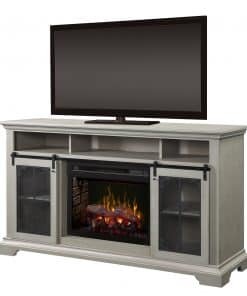 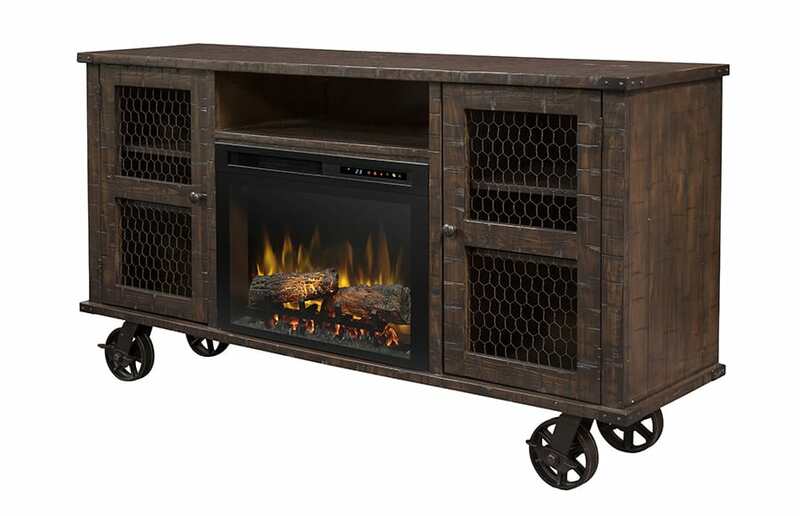 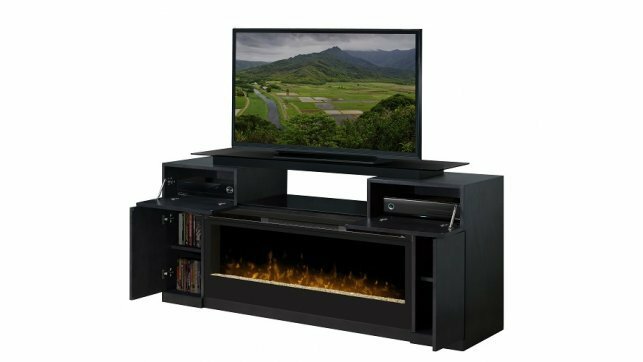 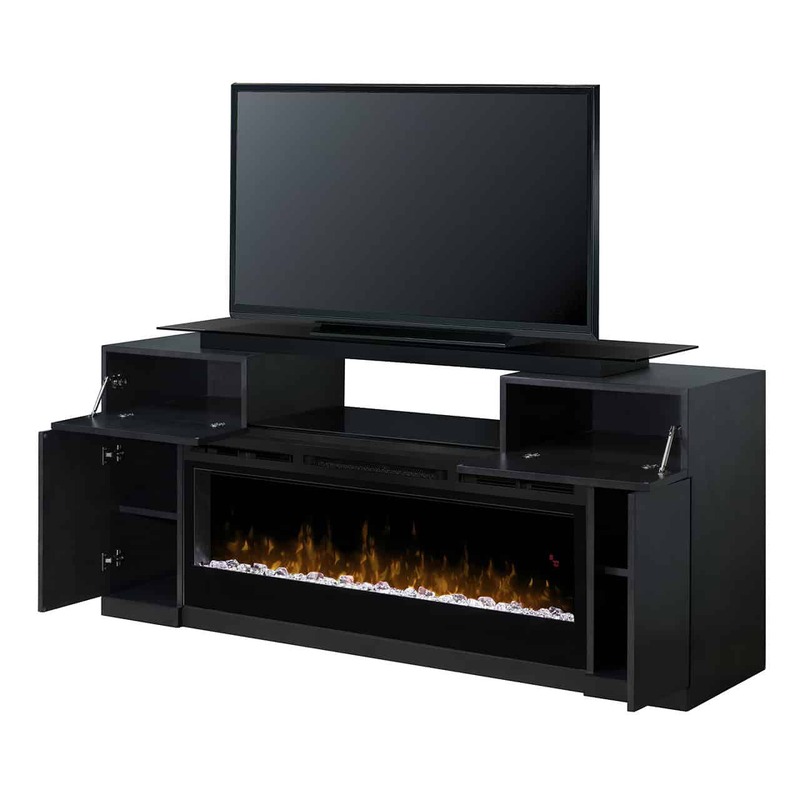 Strong, simple legs provide an elegant finishing touch on the Dimplex Max media cabinet and raise the overall height to optimize the viewing position.